They had a “happy hour” going on from 3-5, so we waited until 3 to get drinks. As our parents worked on their laptops, the four of us grouped into pairs of two so we could walk around outside. Kathryn and I went one way and Ryan and Daniel went the other. 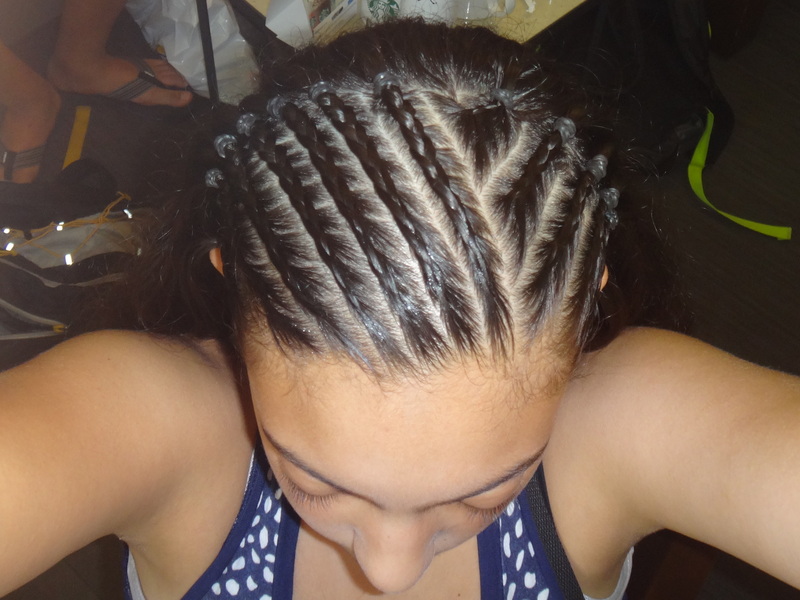 A lady on one side of the road stopped us to ask if we wanted to get our hair braided (in the Mexican way). I asked her how much it would be. She pulled out a board full of pictures of different styles and I pointed to a few, asking the price for each one. The one I liked best was $15, but I didn’t have that much money with me. I bargained and ended up paying $5 (U.S) and 50 pesos. As you can see, we have already begun an adventure and tasted some of the benefits of it. I am excited to experience even more!